The murder of Slovakian journalist Ján Kuciak and his fiancee, Martina Kušnírová, both 27, have sparked protests since the killings on February 25. On Friday, tens of thousands gathered at the Slovak National Uprising Square in Bratislava to demand the resignation of Prime Minister Robert Fico’s government and a thorough investigation of Kuciak’s death. Feature image by Tomáš Benedikovič. Following editorials in some 350 newspapers across the United States Thursday calling for an end to attacks on the press by President Donald Trump, the US Senate unanimously passed a resolution reaffirming the vital and indispensable role of the free press. Peru’s IDL-Reporteros was facing pressure from the Peruvian judicial and legislative authorities to reveal its journalistic sources after publishing a report revealing alleged acts of corruption in the judicial system. But after a push back by journalists and civil society, prosecutors have rescinded their orders. At a time when the news media is under unprecedented attack, and the need for watchdog reporting has never been greater, we hope you will join GIJN today in marking World Press Freedom Day (#WorldPressFreedomDay). This is the 25th celebration of WPFD, but despite the years of meetings and proclamations by its sponsors UNESCO and others, conditions are getting worse, not better, for journalists around the world. The Global Investigative Journalism Network is always on the lookout for contributors interested in writing stories about innovation in journalism, as well as tips, tools and how-tos around investigative reporting. Experts in investigative journalism, journalists who write about media, academics in media studies, media trainers as well as GIJN members are encouraged to contribute. In the wake of Hurricane Maria’s devastating impact on Puerto Rico, amid shortages of food, water and electricity, international and local media have set up shop in the island’s Convention Center, creating a de facto newsroom where officials give press conferences and citizens look for resources. 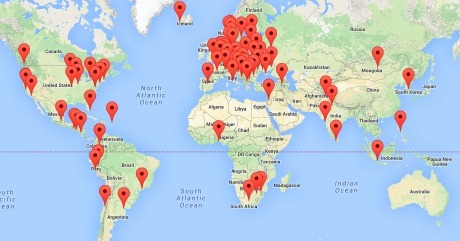 Among those leading the way are journalists from GIJN member Centro de Periodismo Investigativo. At a time when press freedom is deteriorating in many states participating in the Organization for Security and Cooperation in Europe, having a voice to raise journalist cases and hold governments to account is vital. In a recent interview, the organization’s new Freedom of the Media representative Harlem Désir discusses his plans and explains why he is prioritizing journalist safety, fighting impunity and combating violent extremism online. Last week a court in Paris held a hearing in a defamation lawsuit against French broadcast journalists Elise Lucet and Laurent Richard over their 2015 investigative report for the France-2 television show “Cash Investigations” in which Azerbaijan is referred to as a “dictatorship.” Richard will be speaking at #GIJC17 in Johannesburg in November. 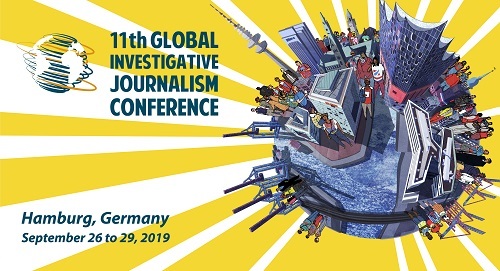 The 10th Global Investigative Journalism Conference, to be held this November 16-19 in Johannesburg, South Africa, will again feature an academic research track, highlighting trends, challenges, teaching methodologies, and best practices in investigative journalism. Here is the call for papers that is going out to journalism professors worldwide. Editor’s Note: It is with great sadness that we at GIJN announce the passing of David Donald, a much-treasured colleague and teacher in our community. David died on Saturday after a year-long battle with cancer. He was 64. We asked his longtime friend, GIJN Board Chair Brant Houston, to write this remembrance.